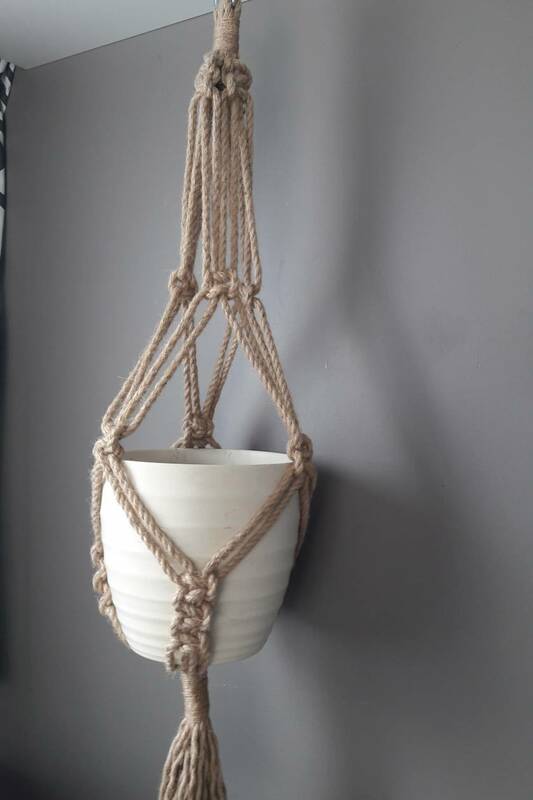 Macramé plant hanger made from hemp on a stainless steel ring. 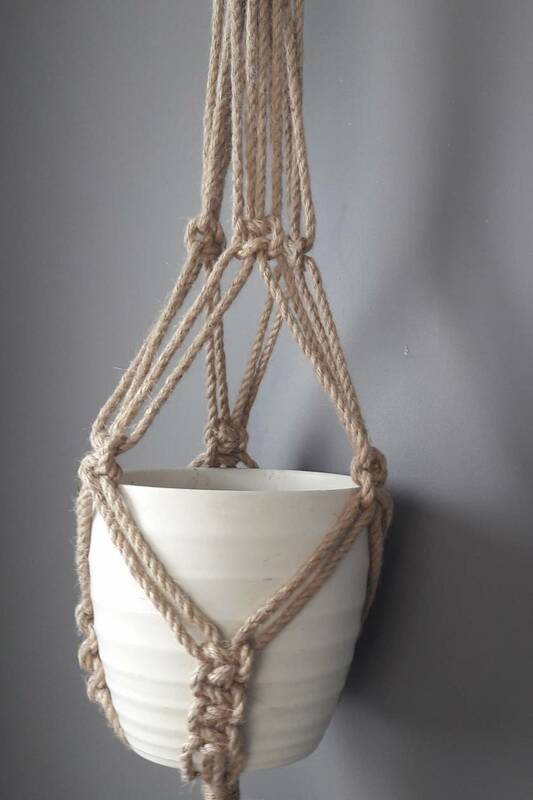 Total length is 80cm when hanging with a pot. Pot is not included, just in there as an example.